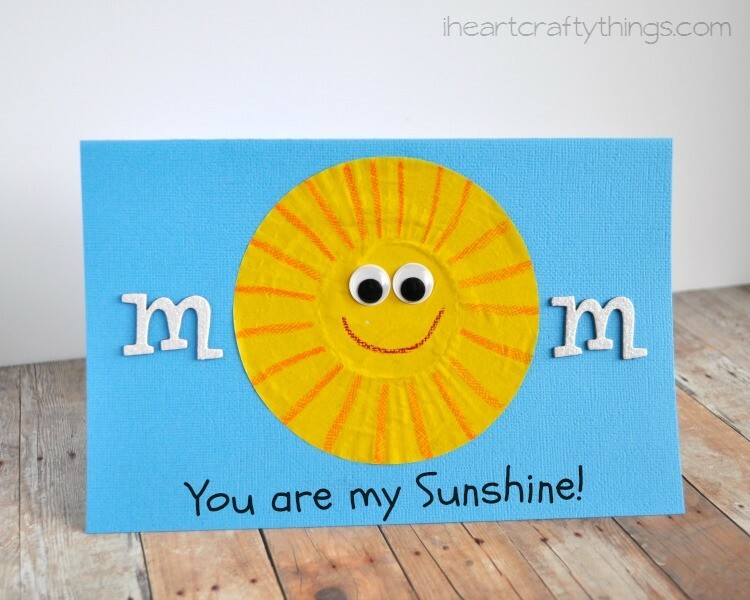 I’ve had a crush on a cute “You are my Sunshine” Mother’s Day Card over at Crafty Morning with a darling sun made out of noodles. 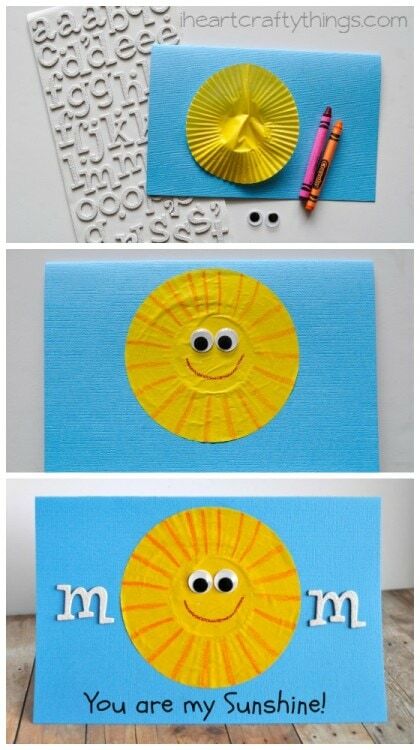 My daughter saw it when it came through my feed on Pinterest the other day and asked if she could make me a Sunshine card. It made my heart melt. 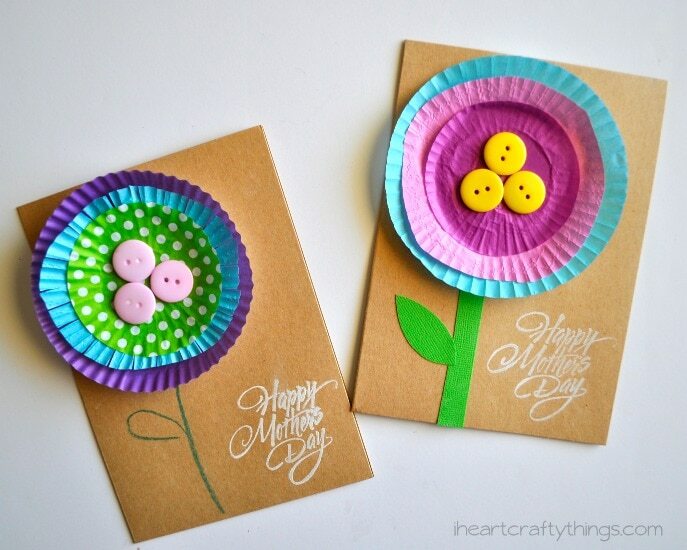 We put our own spin on the card by using a cupcake liner for the sun. 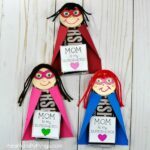 It makes it super simple for even toddlers to make and it’s sure to brighten any Mom’s day! 1. Gather your supplies. 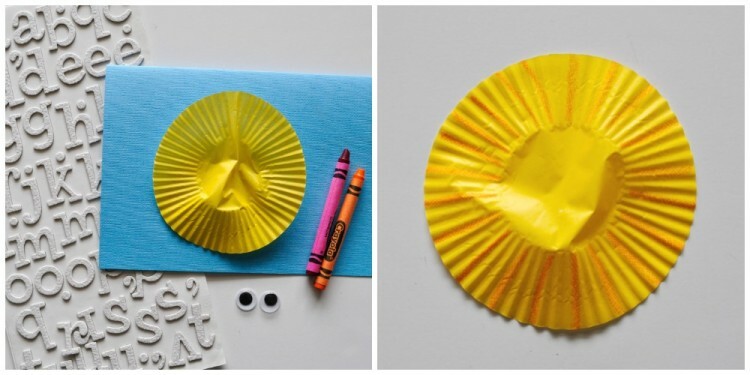 Start by using your orange crayon to draw lines around the ridged edge of the cupcake liner. 2. 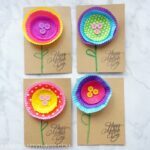 Glue the cupcake liner onto your folded blue cardstock paper. 3. 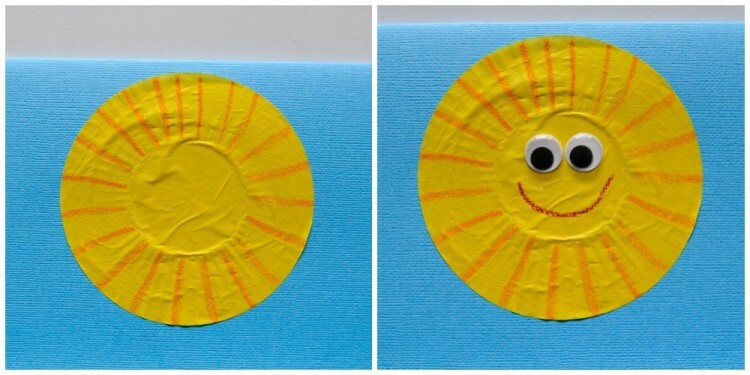 Glue your googly eyes onto the cupcake liner and draw a smiley face on him with your red crayon. 4. Take two “M” letter stickers and place one on each side of the cupcake liner. 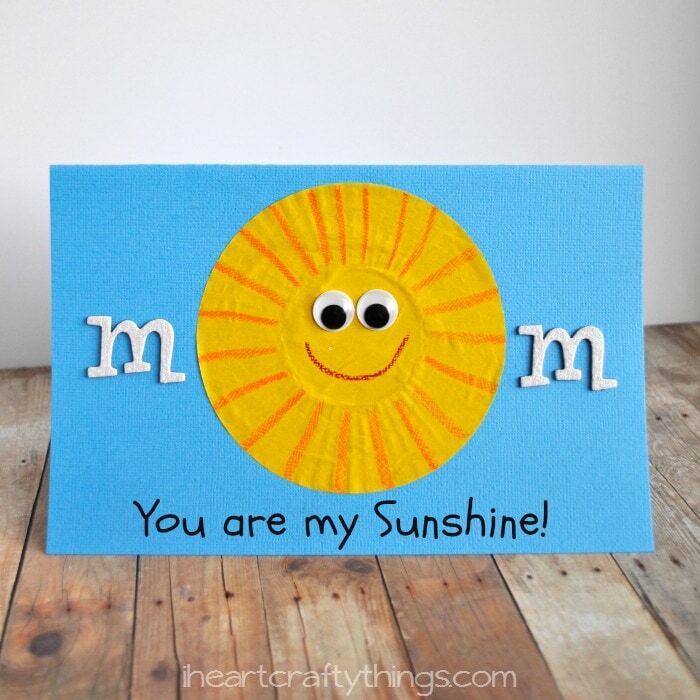 The sun acts as the O for MOM. This step is optional. If you don’t have letter stickers, simply write an M on each side of the sun with your black marker. 5. 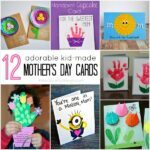 Finish your card by writing “You are my Sunshine” at the bottom of the card with your black marker.